Come see the absolutely stunning views from this 16th floor condo in High Point Place. You are surrounded in luxury from the moment you walk through the lobby doors and it continues right to your own private foyer. 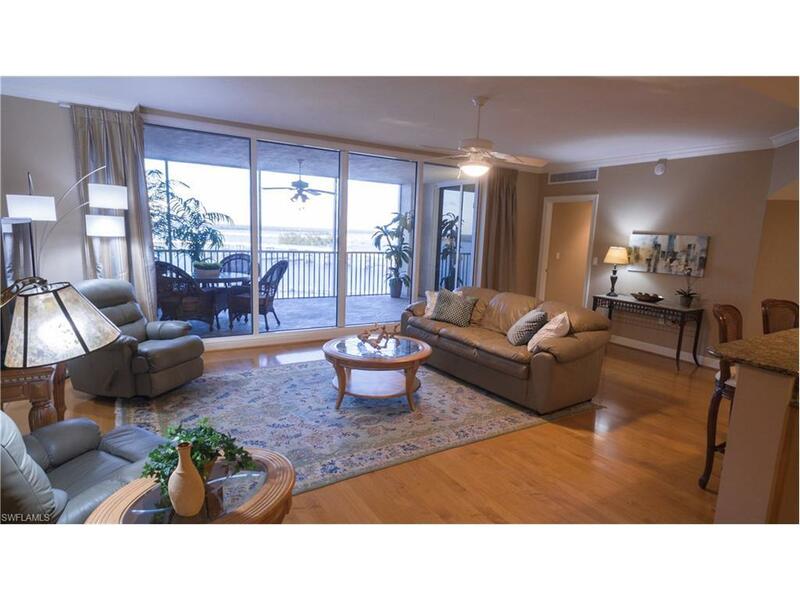 This unit features a huge lanai that overlooks the yacht club, bridges and also has incredible city views. 2 different balconies on each side of the unit give you totally different perspectives. This is one of the largest floor plans available and features 2 bedrooms, a den and 2 1/2 baths. This floor plan also includes BONUS attached air conditioned storage right off your balcony. Additional assigned storage is included in the parking garage as well. This property has loads of upgrades including hardwood floors and a brand new A/C unit that was just installed! From High Point you can walk to all the downtown events, restaurants and even grocery. And if you don't feel like walking there is a free shuttle service so you can leave your car at home! Please make your appointment today to see all that High Point Place has to offer. Amenities include: Community Pool & Spa, BBQ area, business center, exercise room, sauna, vehicle wash area, dog park & more.